Especially today, when the sport horse and sport pony are getting so much attention, it is important that we showcase our wonderful Connemaras as the great performance animals they are. As breeders begin to realize the large market for competitive and athletic ponies they see that performance geldings can comprise a desirable portion of their production goals. In years past mares were in the greatest demand as they were marketed primarily for their ability to produce offspring. 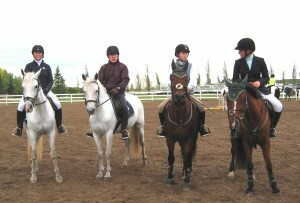 Geldings were often held in lower esteem and priced more modestly. Nowadays it is recognized that the ultimate ‘end user’ of the ponies we produce is more often a junior or amateur adult rider looking for a competitive or recreational riding animal, rather than a fellow breeder looking to add to his herd of bloodstock. Connemaras enjoy a positive image worldwide as being kind, tractable and enjoyable companions who also possess the athletic ability to compete successfully in myriad disciplines. In an effort to encourage and reward the use of Connemaras and halfbred Connemaras, the American Connemara Pony Society has an extensive awards program. This awards program not only recognizes Connemaras which are shown in hand and under saddle at breed shows, but also rewards Connemaras performing on the larger stage of national and international open competition. There are several subdivisions within the ACPS awards system. Each is tailored to bring attention to the talents of the Connemara breed and to reward owners and riders of Connemaras for showcasing the breed heritage of their animal. Connemaras can and do compete successfully in all disciplines and against horses and ponies often bred specifically for one particular discipline. The ACPS is trying to do its part in exposing this great secret and let the world know Connemaras are not only great pleasure animals and companions for juniors and amateur adults, but can also compete and win in any company! These awards are presented at the annual Horse of the Year awards banquet of the US Equestrian Federation, which is the governing body of all horse sports in the U.S. In its National Award program, the ACPS teams with national organizations which track points in their particular disciplines, such as the US Eventing Association, the US Dressage Federation, the North American Trail Ride Conference and the US Equestrian Federation for its hunter and jumper disciplines. Awards are given to the highest placing purebred and halfbred Connemaras in the nation. In eventing all levels are awarded including Beginner Novice (a 2’6” introductory level in the US), Novice, Training, Preliminary (equivalent to Novice in the UK), Intermediate and Advanced. The US Dressage Federation has a cooperative program with many US breed associations which it calls the All Breeds awards. Owners or riders must declare their horse as a particular breed and provide proof of registration with the designated breed association. Points at all levels of dressage from training level through grand prix are tracked throughout the country and tabulated in categories of open, amateur and junior rider. The ACPS rewards Connemaras and halfbreds in all categories. Winners are showcased at the USDF Annual convention. A list of Connemara winners and their photos also appear in the USDF Dressage Connections magazine, bringing more recognition to our wonderful breed. The ACPS National Awards program has led to an increased interest on the part of owners and riders in making sure their Connemara is fully ACPS registered. Oft times riders in national, open, discipline based competitions are unaware or uninterested in the breeding of their equine partner. Providing awards based on breed association registration can help breeders track their produce and insure the breed gets the recognition it deserves in a larger competitive arena. There are three additional programs within the ACPS Awards system which help promote the use of Connemaras. 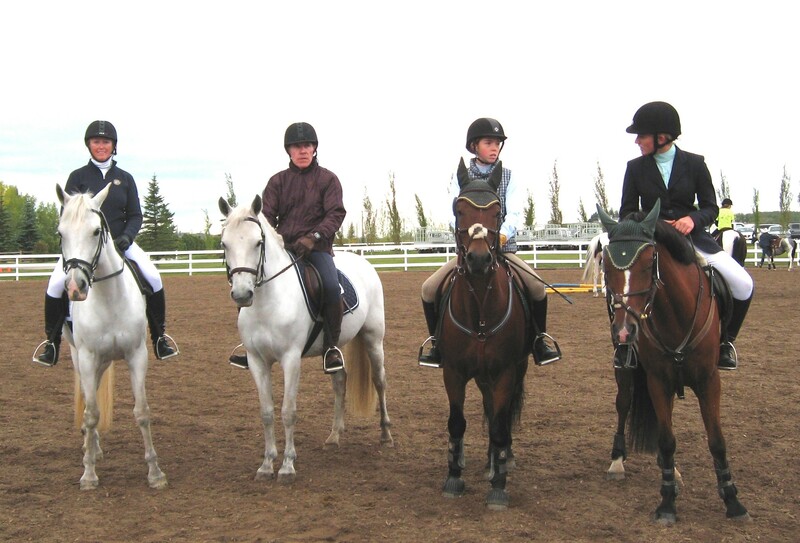 Through the ACPS junior and adult scholarship program individuals write an essay on how they use their Connemara and why they deserve to be awarded a monetary prize which may be applied to further training for themselves or their pony. The Connemara of the Year award is presented to an animal which in some notable way, within a given year, brings positive recognition to the breed. The ACPS also offers a program to show managers of open competitions by which they can award lovely championship ribbons to the highest placing purebred and/or halfbred Connemara. This serves to draw attention to the breed by giving the Connemara name recognition at the awards ceremony of a large competition in which many breeds and crossbred horses are represented. The ACPS is doing all it can to let the world know Connemaras are competitive in all disciplines and at all levels. Not only can you win with a Connemara, you are sharing that win with the best equine friend you could ever have! Serendipity’s Savannah (Sire – Oak Hills Country Song; Dam – Oak Hills Maggie) represented the Connemara breed proudly when she served as a therapy pony in St. Anthony’s Healthcare Center on Dec. 11, 2007, Lafayette, Ind. Therapy pony is just one of many roles that Savannah has served for Dawn of Promise Farm where she has lived since her yearling year. She is now 13 years old, has produced four foals by Kerrymor Madison, competed successfully in combined tests, USDF dressage shows at training level, jumper classes, and has been the favorite lesson pony of many of my young riding students. But all of this seemed to pale in comparison when she stepped through the back dock entrance of a nursing home onto tile floors most ponies would consider slick, and followed me through the hallways to visit the residents. The day was cold and rainy and seemed to me to be an Irish blessing of the event about to unfold. I had wrapped Savannah’s hooves in Vetrap® and a little duct tape to keep her from slipping. Her first potential obstacles were the shouts of the kitchen workers who stepped out in the hall to discard things in the trash only to scream when they saw a “real horse” in their hallway. Savvy has experienced many shouts of delight in her day since she is most often used for the very tiny riders of ages 3 – 5. Little did I know that those exuberant children were preparing her for days of pet therapy with senior citizens! My late father, Jim Maris, had been living at St. Anthony’s during the fall and was the first to meet us in the hallway that day. He was anxiously awaiting our arrival with my mom, Lucille. Savannah gave him several kisses of greeting and we set out on our tour. Dad was rolling along behind serving as Savannah’s personal PR person. The staff of the nursing home were incredibly accommodating and helpful. The activities director, who had arranged the event, carried the muck bucket and shovel – just in case. The nurses and assistants checked with residents to ask if they’d like a visit from a pony and then helped accommodate all who were excited to meet Savannah. One lovely woman who was about to turn 105 expressed, “Ooohhh! Savannah, you are the best present I’ve ever had! I’ve never touched a real horse until today!” Another woman openly wept with joy. She couldn’t speak, but we all sensed that Savannah was making her day! I later learned that she had grown up on a horse farm. Her tears of joy were the most reaction the staff had seen from her since she had arrived. Ponies are equipped with such wonderful intuition and Savannah was using every bit of hers to determine if she needed to kiss someone on the cheek or stand quietly while a resident tried to negotiate getting a hand out to pet her. Some residents did not have the coordination to stroke her gently, so she patiently tolerated anyone who grabbed her halter, nostril, ear, and on a couple occasions, tail, while I was looking towards her head. I knew from Savannah’s outing to represent Connemaras at the Hoosier Horse Fair, that she was not one to worry about crowds and equipment. This was a good thing, as she was approached several times by people in wheelchairs or on walkers and was even surrounded on one occasion by about four residents in wheelchairs before we could get everyone rolled back a bit. She never flinched at wheelchairs, never flicked an ear at alarms going off or at the screeches of delight from residents and staff. In true pony style, she did try to taste the fake Christmas tree at one of the nurse’s stations. Savannah’s unflappable demeanor was perfect for this environment. I always have thought Connemaras were the perfect pony, but dear Savannah, has once again confirmed it! In addition to her good-natured Irish genes, I was grateful for the natural horsemanship training I’ve received alongside Savannah from Megan Doyle and Sherry Beuttner plus the myriad of goofy activities that Savannah and I have done in the past that prepared us for this. One example is the day I arranged for her to be on display in the local feed store promoting a pony program I had going on at the time. I feel so blessed to have had the opportunity to share Savannah with my Dad and the other residents of St. Anthony’s. Dad’s health took a turn for the worse only four days later and he was moved to the hospital. He went to be with the Lord on Jan. 9, 2008. In his last month, Dad, Mom and I had the joy of being able to talk and laugh about Savannah’s visit to St. Anthony’s and how she surprised and brought joy to so many people. When Dad died, he had his bride of 65 years keeping watch at his bedside and two photos on his bed table. One was a photo of Savannah. I look forward to facilitating Savannah’s ability to share joy in nursing homes in the future. I have started reading my book from the Delta Society to prepare the two of us for certification in pet assisted therapy.